It’s a crossroads that countless couples have encountered: Their marriage has become unhappy and unsatisfying. But they fear hurting their children by divorcing. 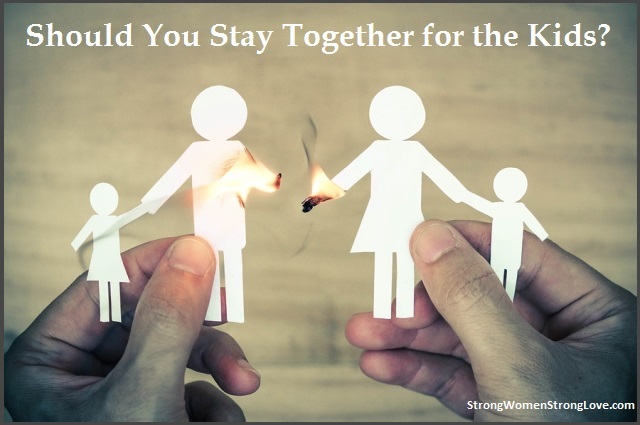 Should you stay in your marriage for the kids, or end it? Both choices are painful. Which one is better? Each couple has to ultimately decide what’s right for them and their family. But I do believe there’s a wise way couples can approach this life-altering decision. A caveat before I go on: This advice is for people in unhappy marriages, not relationships that are marked by abuse and aggression. If you’re in a situation like this, please seek professional help. Have You Given Your Marriage a Real Chance? For most unhappy couples, the decision about ending a marriage when kids are involved isn’t so clear-cut. You may long for an escape from your marriage, but you also know the stakes are high for both you and your children. A divorce can complicate all your lives for years. And no matter what you decide, you and your husband will still have to co-parent. Because divorce is a serious decision, it’s not one that you should rush into. Especially since some studies have shown that a good percentage of people who divorce end up regretting their decision. That’s why my advice to most couples on the brink is to make sure that they’ve done everything they can to save their marriage before calling it quits. If you’re intent on working on your marriage, there’s very good news. Research has given us clear insight about what makes marriages succeed or fail. If you are determined to give your relationship a chance, you can be smart and focused in your approach. If you’re both willing to put in the work — reading books, getting therapy, going to marriage workshops — you have a better chance than ever of salvaging your relationship. Have you educated yourself about what makes a marriage work? Do you know about the four horsemen and the best predictor of divorce? If you don’t know what I’m talking about, then you have some work to do. 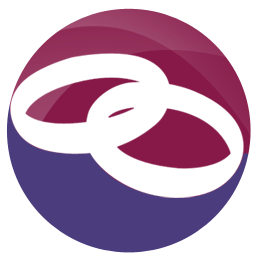 As a parent, if you do divorce, you want to be able to honestly tell your kids that you did everything you could to try to make the marriage work. Sadly, not every marriage can be rescued. If that’s the case for you and your husband, you’ll at least have the peace of knowing you were thoughtful in making the decision to divorce, and that it is really the better option for you. You’ll move forward with fewer “what ifs” and regrets. And the efforts you put in should help the two of you with your post-divorce relationship as co-parents to your kids. If you are looking for ways to work on your marriage, I want to point you toward my book Strong Women, Strong Love. I wrote it to help busy couples nurture their marriage amid their stressed and demanding lives. If you’re ready to seek couples therapy, seek recommendations from people you trust, consult your insurer’s director of providers or browse Psychology Today‘s listing of therapists in your area.